Saab Law Group understands the importance of protecting and ensuring your wealth and assets. 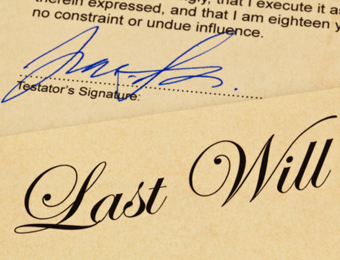 A Will is a legal document that specifies how you want your assets to be divided when you pass away. A probate is the legal process of administering the estate of a deceased person by resolving all claims and distributing the deceased person’s property under a valid will. A probate court decides the validity of a testator’s will. The granting of Probate by the Supreme Court is a formal acknowledgment of the Will and the Deceased’s wishes. It is extremely important that a Will is drafted correctly and clearly names the people who will benefit from your assets. This ensures that there is no room for misinterpretation and disputes. The law surrounding Will disputes are often complex, with exceptions to almost every rule and no two cases the same. Will dispute law also differ significantly from state to state adding another level of complexity to each case. Saab Law Group offers simple methods to have the relevant documentations prepared which ensures security for your family and can provide assistance in a large number of areas. These include drafting and amending wills, Estate Planning, Probates, Power of Attorney, Appointment of enduring Guardian, assistance with claims on estates and defending claims on deceased estates. Should you need any guidance in wills and probate matters, call Saab Law Group today for legal solutions tailored to your individual needs.